Choosing Alpine for your upgrade is like choosing chocolate at the ice cream counter — it's a classic for a reason. You can't go wrong with Alpine's undying commitment to quality sound and attention to detail, and their thunderous R-Series component speakers deliver the goods when your urge to crank the volume is unstoppable. 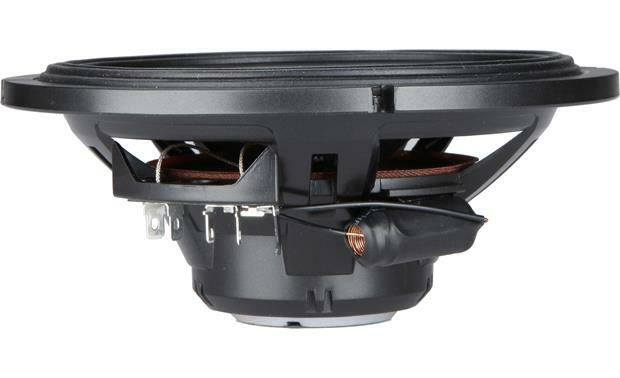 This R-S65 6-1/2" component speaker system features a hybrid fiber woofer cone that satisfies your need for strong bass response. A deluxe surround allows consistent, extended cone movement that pushes a lot of air for high-impact sound and guarantees a long life in your car doors. And when it comes to the highs, a 1" separate silk tweeter brings on a level of smoothness that enhances your music with detail, depth, and no shrillness. Alpine includes a pair of external crossovers that are compact enough to easily stash away in most nooks or crannies. Alpine has designed these components to work perfectly with your car stereo, but they'll really come into their own when you power them with an outboard amp. Power handling up to 100 watts RMS ensures you can get big, dynamic sound and plenty of volume out of these sturdy speakers. So, prepare yourself for a no-regrets sound upgrade. IS THE POWER HANDLING CAPABLITIES OF THESE SPEAKERS , 100 WATTS RMS PER SPEAKER / PER CHANNEL OR 50 WATTS PER SPEAKER /PER CHANNEL ? 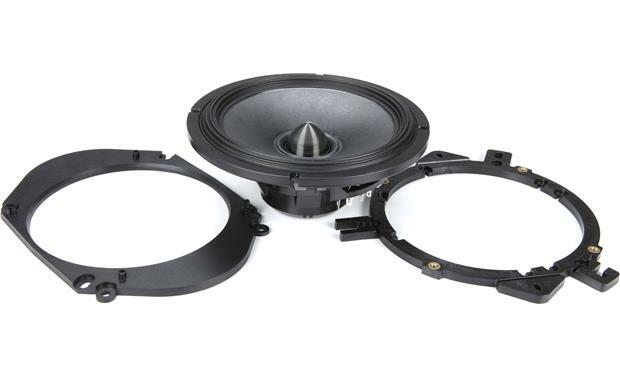 Woofer Mounting: Although Alpine describes the woofers' size as 6-1/2, without adapter brackets the woofers fit many standard 6-3/4 applications. Using the two types of adapter brackets included, they can be mounted in a wide variety of 6-1/2, 6-3/4, 5x7, and 6x8 applications. Please enter you vehicle information to confirm fit. 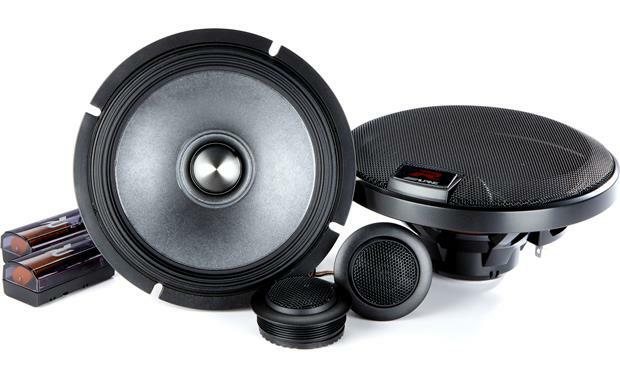 HAMR Surround: Type-R speakers use Alpine's multi roll HAMR surround (patent pending), a technology developed for Alpine subwoofers that maintains control and stability at higher volume levels. HAMR surround combines increased cone area and long linear cone excursion for deep, powerful bass response. Mounting Depth 0.657" 0.756" 0"
Mounting Height 0.436" 0" 0.756"
Frame Diameter 2.277" 1.723" x 2.5" 1.723" x 2.5"
Tweeter Attenuation: Each crossover has four tweeter level options, allowing you to precisely tune the high frequencies to the car interior and tweeter placement. Using the supplied jumpers select 0dB (no attenuation), -2dB, -4dB, or -6dB. I believe the Alpine R- S65C handle 110 rms each. They are great sounding speakers. You can't go wrong with these. Make sure you use an amp to feed them plenty of power for best sound. 100 per speaker. I have them hooked up to a Alpine X-A70F and they have been handling a beating for a while now. They don't really have mid bass but paired with a good sub you won't notice. what is the max watt on the tweeters? It's 100watts rms split between the two. If you are running passive using the crossovers, 100 watts is the RMS for both the woofer and tweeter. What is the crossover point for this component set (frequency and slope)? Will these fit a 2017 subaru wrx front doors? Is this any improvement over the old model SPR-60C? 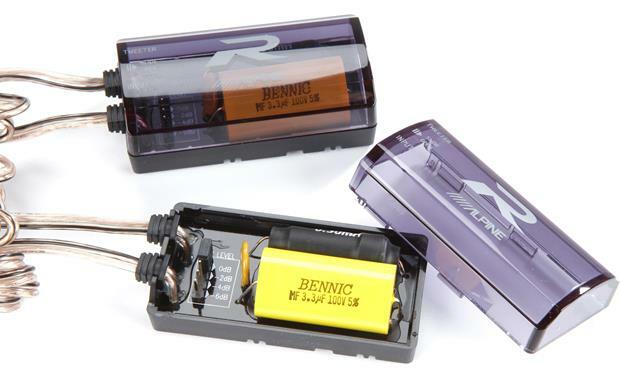 They are the direct replacements for the discontinued SPR-60C so, the two models are more similar than they are different. 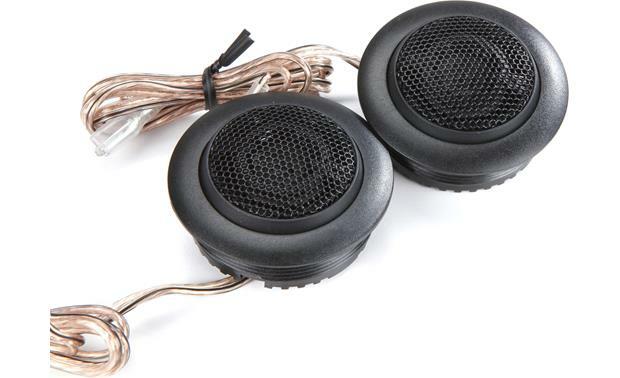 They are still great speakers and use the same materials for both the midbass drivers (hybrid fiber) & tweeters (silk). 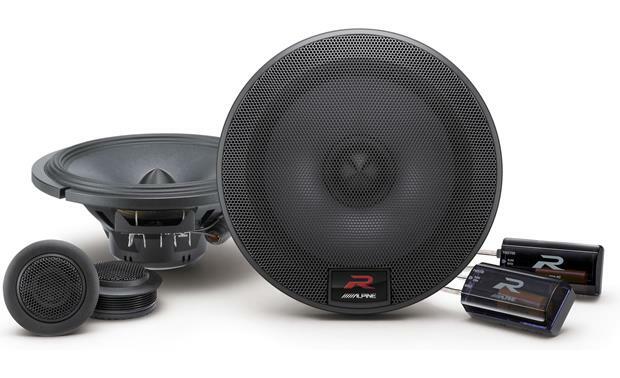 Will the alpine R-S65C work with a 600 watt amp? Yes, I have them paired with an excelon 600 watt amp, however it is only driving 100 watts per channel. 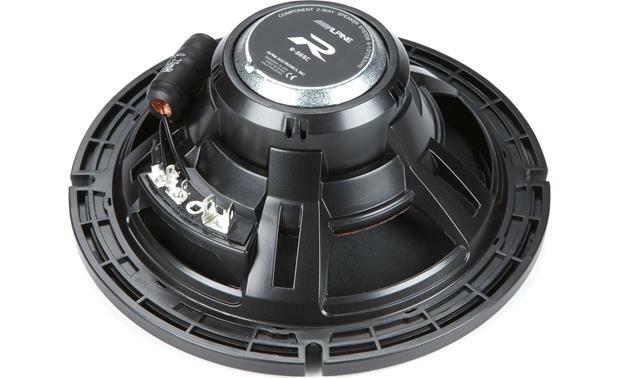 Searches related to the Alpine R-S65C R-Series 6-1/2" component speaker system.